The abortion industry must be shaking in their boots. There are THREE pro-life bills that will have a hearing in the WI State Senate, and the U.S. Senate will be voting on the federal Pain-Capable Unborn Child Protection Act! All of this is happening on Tuesday, September 22nd. We need your action now – an all-out pro-life bitz to make sure these right-to-life bills move forward! 1.) Call your state legislators and ask them to support AB 305, AB 310, and AB 311. -Find more information about these three state bills here. -Find your state representative and state senator’s contact info here. 2.) Come to the State Senate Health and Human Services Committee’s hearing for AB 305, AB 310, and AB 311 to register in favor of the bills and to speak out for life! -Note: Sen. Johnson is consistently pro-life, be sure to thank him! Sen. Baldwin is consistently pro-abortion, please respectfully ask her to vote in favor of this lifesaving bill. 4.) Please share on social media your support for these bills all day Tuesday! Follow Wisconsin Right to Life on Twitter for updates! 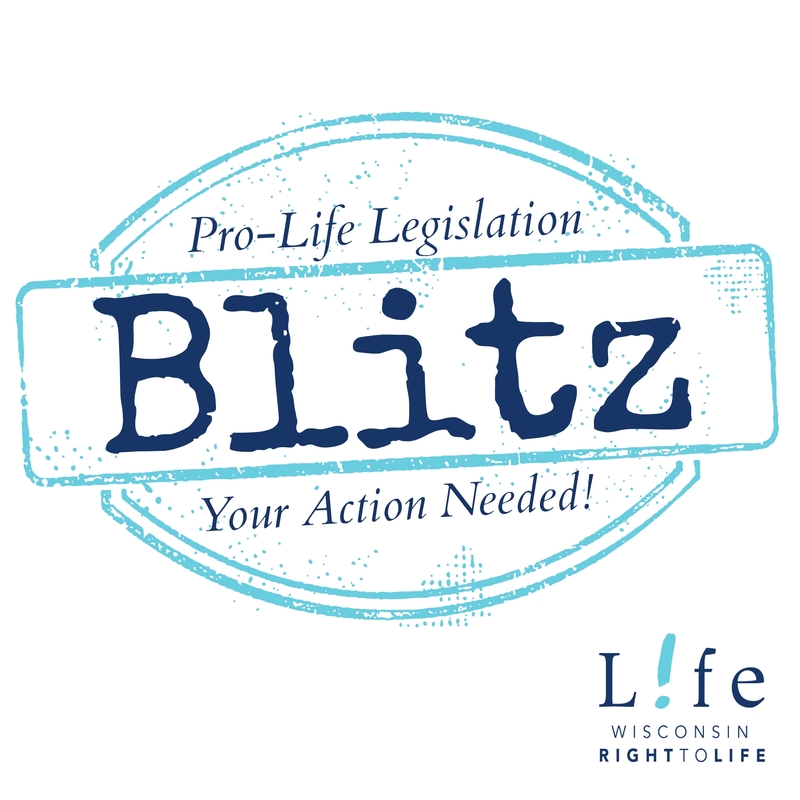 Your ticket for the: Pro-Life Legislation Blitz!